Warm Hawaiian sun. Lazy beach days. Flirty texts with her boyfriend back in Seattle. 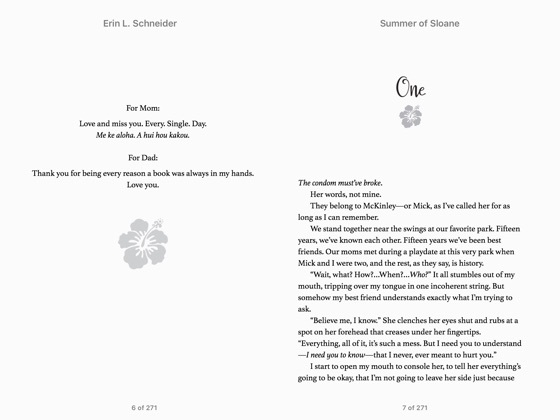 These are the things seventeen-year-old Sloane McIntyre pictured when she imagined the summer she'd be spending at her mom's home in Hawaii with her twin brother, Penn. Instead, after learning an unthinkable secret about her boyfriend, Tyler, and best friend, Mick, all she has is a fractured hand and a completely shattered heart. 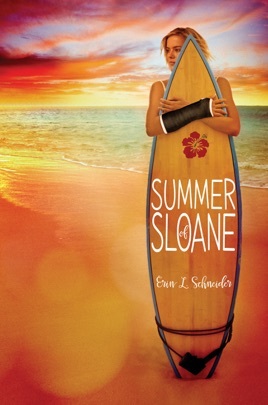 Once she arrives in Honolulu, though, Sloane hopes that Hawaii might just be the escape she needs. With beach bonfires, old friends, exotic food, and the wonders of a waterproof cast, there's no reason Sloane shouldn't enjoy her summer. And when she meets Finn McAllister, the handsome son of a hotel magnate who doesn't always play by the rules, she knows he's the perfect distraction from everything that's so wrong back home. But it turns out a measly ocean isn't nearly enough to stop all the emails, texts, and voicemails from her ex-boyfriend and ex-best friend, desperate to explain away their betrayal. 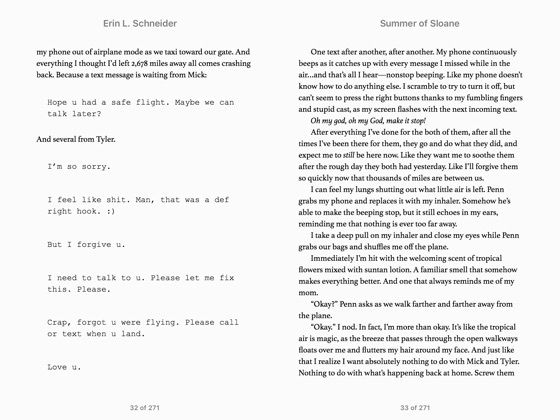 And as her casual connection with Finn grows deeper, Sloane's carefree summer might not be as easy to come by as she'd hoped. Weighing years of history with Mick and Tyler against their deception, and the delicate possibility of new love, Sloane must decide when to forgive, and when to live for herself. This was an amazing book and one that I would recommend to anyone that likes a story with plot twists, a sweet romance, and with awesome characters. A story about someone that found there way even if it meant that they would have to move on.A great book to read during the summer. Perfect read for the summer! Everybody makes mistakes. And sometimes those mistakes change everything. 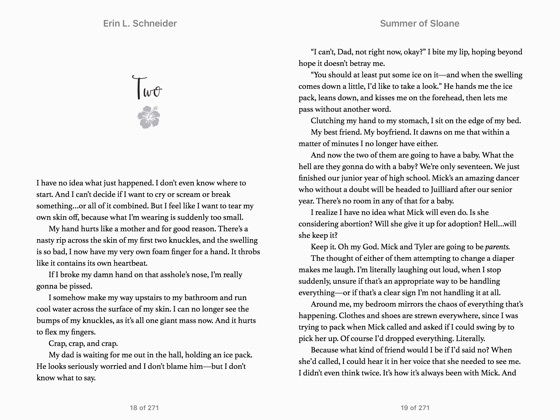 The main character, Sloane, is dealing with heartbreak and betrayal and leaves town just in time and tries to have a good summer. I LOVE that this book takes place in Hawaii. There are other characters that are so likeable and real. I felt the plot gets a little messy in the middle and towards the end, but overall it is a great light read for the summer.